Northwest Indiana is known as "Da Region." It is the section of the Chicago metropolitan area that overflows past the Indiana border. The Region is a cultural "melting pot" creating a very diverse and unique place that is different by far than any other location in Indiana. Northwest Indiana is comprised of Lake, Porter, LaPorte, Newton and Jasper counties in Indiana. 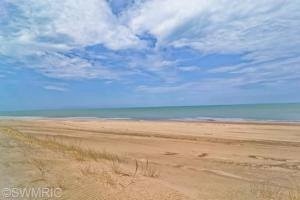 This region neighbors Lake Michigan and is part of the Chicago metropolitan area. Northwest Indiana is the state's second largest urban area after the Indianapolis metropolitan area. Just a short 30-minute trip from Chicago's downtown, the South Shore is the perfect place to relax and enjoy the gracious hospitality of the Midwest. If it's excitement you like, head to one of our four lake-front casino boats for the thrill of gaming. Visit a waterpark for a day full of family fun. Try one of our many excellent restaurants, stay at one of our wonderful hotels or take in a show and enjoy top name entertainment. Based on information submitted to the MRED as of Apr 20, 2019 3:35:pm. All data is obtained from various sources and has not been, and will not be, verified by broker or MRED. MRED supplied Open House information is subject to change without notice. All information should be independently reviewed and verified for accuracy. Properties may or may not be listed by the office/agent presenting the information. 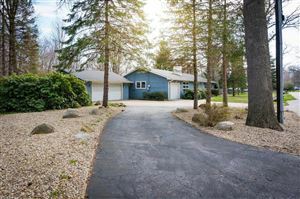 Greater NW Indiana listings last updated Apr 20, 2019 3:23:pm. © 2019 MichRIC, LLC. All rights reserved. All information contained herein should be deemed reliable but not guaranteed. All representations are approximate, and individual verification is recommended. Updated: Apr 20, 2019 3:17:pm.